Efforts to restore diplomatic ties with the US are marking the start of a new era for Cuba. Melodie Michel explores the opportunities that lie ahead for a country that has spent the past 55 years in virtual isolation. The Cuban flag being raised in Washington DC on July 20, at the occasion of the reopening of the US and Cuban embassies in both countries, must have been a sweet sight for President Barack Obama. There had been no consular representation between the two nations since 1961 – the year he was born – so after months of secret talks and negotiations with his counterpart Raúl Castro, Obama undoubtedly savoured the symbolic victory. There is still a lot to do to normalise relationships – namely lift the embargo that still makes trade between US and Cuban entities illegal bar limited permissible transactions. But all over the world, trade and trade finance players are gearing up for Cuba’s grand return. Korean ECA K-Sure, for example, agreed to provide a US$67.9mn credit line to Banco Central de Cuba and the Banco Exterior de Cuba (BEC), and set up a payment insurance arrangement, as early as February. Considering that Korea is a close ally of the US, the deal made the truce official, and paved the way for other international players to extend a hand to Cuba. But it was the removal from the US’ list of state sponsors of terrorism at the end of May that really set things in motion – at least in theory. Also in May, Florida-based Stonegate Bank became the first US financial institution to open an account for the Cuban government, and in July it announced the signature of a correspondent banking arrangement with Cuba’s Banco Internacional de Comercio (BICSA). “This is another step in terms of normalising commercial relations between the US and Cuba. The ability to move money easily between the two countries will only increase trade and benefit American companies wishing to do business in Cuba,” said the bank’s president and CEO, David Seleski, upon announcing the news. Although 10-year-old Stonegate is very publicly enthusiastic about the possibility of financing Cuba-US trade flows, its boldness is not mirrored in other, more established American banks. Contacted by GTR, both Bank of America Merrill Lynch and JP Morgan declined to comment on the situation, and when BNBanco Internacional de Comercio (BICSA)Y Mellon’s regional head of Latin America and the Caribbean Dino Sani agreed to provide insight, he made it clear the bank had no official position or strategy on Cuba. According to him, banks are waiting for more clarity from the US government on the exact conditions for financing Cuban trade flows. “Lifting the embargo is not the only thing that needs to happen. There’s also the matter of the other regulations connected to trade with Cuba. It’s a complex situation, because the embargo has been in place for many years. How this all gets resolved is a big question mark, especially for financial institutions. They need to know what the regulations and guidelines will be as a whole for doing business with Cuba,” he says, adding that as long as a full set of regulations is established, “there is no reason for American banks not to be part of [Cuban trade flows]”. While US financial institutions stay on the sidelines, others are eyeing their share of the Cuban pastelitos. Spanish bank BBVA never stopped financing flows with Cuba, despite having to reduce them drastically when the embargo was imposed. It established a representative office in Havana in 1995, and has correspondent banking relationships with the banks that are most active in management of international trade flows, in particular BICSA and Banco Financiero Internacional. “Of course we comply with OFAC rules, which concretely implies not doing any business with Cuba involving US entities or using US dollars. In terms of goods there is no specific restriction for goods coming from outside the US. In terms of trade finance, we have been managing limited trade flows with Cuba for years, mainly through letters of credit in euros. This channel has helped Cubans import goods of first necessity like food and medical supplies during all the tough years when they were so isolated. The LC continues to be the preferred way to pay for imports for Cubans, and BBVA manages significant volumes for exporters worldwide through our network,” David Peyroux, head of the bank’s global trade finance department in France, tells GTR. But recently, the bank started feeling the heat of competition, not only from traditional players in the market – mainly Spanish and Canadian banks – but also from newcomers. This view is confirmed by Sani at BNY Mellon, who says he has had “a few questions”, mostly from Caribbean banks interested to see the next steps related to the situation. All eyes are now turning to the American Congress, which holds the key to lifting the trade embargo. Because Congress is led by the opposition Republican Party – a party whose 17 presidential election frontrunners have all voiced their opposition to President Obama’s Cuban policy – the passing of that measure is not likely to be easy. Congresspeople’s failure to reauthorise US Exim by the end of June, despite massive amounts of lobbying from the ECA’s supporters, is a case in point. “I wouldn’t hold out much hope for there being any sort of action this year, for two reasons. One, there’s not much time on the calendar [this session of Congress ends in October]; two, the Republicans control both houses of Congress and it’s pretty clear that they don’t support what the White House has done regarding reform of the embargo and restrictions with Cuba,” says Craig at Venable. With the presidential election coming up in November 2016, there is limited time to act: The primary season is set to start at the beginning of next year, and the issue of Cuba could become much more politicised. And while the Republican Party is using its opposition to the normalisation as a campaign argument, Democratic frontrunners have stayed away from the topic, preferring not to give their opinion. Still, most in the industry are confident that the progress made up until now is irreversible, and that the trade embargo will eventually be lifted. “The lifting of the embargo is the biggest thing to most Americans in the business community. The election is in 2016: there’s a whole other congressional session before then. It’s possible that it could be voted through a backroom deal made amongst the leadership of Congress, attaching it to another measure,” says Mendell. the country’s imports, up from 3% today. Others are also set to win from the opening of Cuban trade, with China set to increase exports by US$360mn a year, Spain by US$200mn, Brazil by US$120mn and France by US$100mn, the report adds. Venezuela, however, could suffer as Cuba diversifies its oil imports, pushing the latter’s export revenue down from US$5.5bn in 2015 to US$1.5bn in 2020. What remains to be seen is the economic viability of doing trade with Cuba. “After so many years, the international financial community as a whole as well as particular key service providers like the rating agencies will need to evaluate Cuba’s business climate,” says Sani. The Cuban government has already taken steps to attract the foreign investment sorely needed to strengthen its economy: in November 2014, it presented the Cuba Portfolio of Opportunities for Foreign Investment, a list of 246 projects in sectors such as biotechnology, construction, energy, food and pharmaceuticals, seeking over US$15bn of capital. The government has also pushed the development of the Mariel Zone, a bay 28 miles west of Havana and 112 miles from Florida, which it hopes to transform into a major cargo traffic hub, container port and free-trade zone. The US$957mn project is being financed by Brazil’s development bank BNDES, and is rumoured to have attracted interest from China, Singapore and Argentina. By July 2015, Cuba had given the green light to seven companies to operate at Mariel: two domestic, two from Mexico, two from Belgium and one from Spain, in sectors including food, chemicals and logistics. According to the Associated Press, these represent total investment of around US$50mn, and the firms are expected to launch operations in the first half of 2016. Still, Cuba will remain a complex country to do business with for some time to come: it uses two different currencies – the Cuban peso and the convertible peso – and despite plans to unify them, no concrete action has been taken, keeping currency risk at a high level. Access to credit is set to remain limited, and foreign investment will be tightly controlled by the government. Euler Hermes maintains that non-payment risk by Cuban companies will likely remain high in the short term, and despite its optimistic report, continues to rate Cuba as D4 (high risk). It’s been a year full of symbols for US-Cuban relations, but in reality, the road to ‘normality’ is still long and full of obstacles. 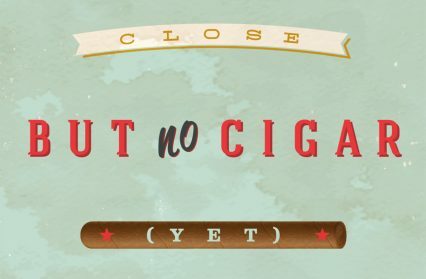 Yet, it makes no doubt that trade finance players all over the world are monitoring the situation closely, waiting for the day they can celebrate a trade deal with the island nation by lighting up a well-deserved Cuban cigar.